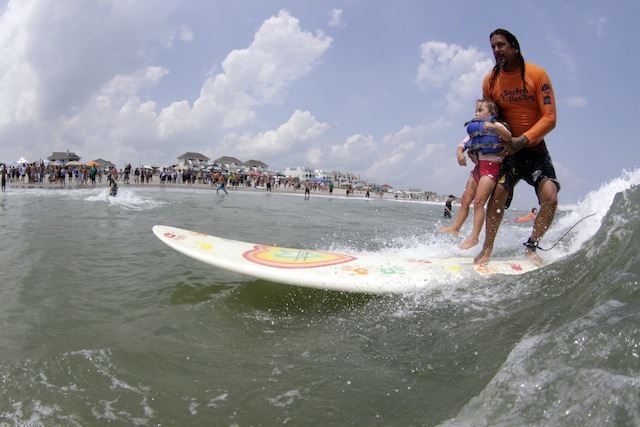 Wrightsville Beach, N.C. … One of the world’s 20 best surf towns (National Geographic, 2012) will host Surf Gala 2012 and Surfers Healing, an international surf camp for children with autism, Aug. 19-20. 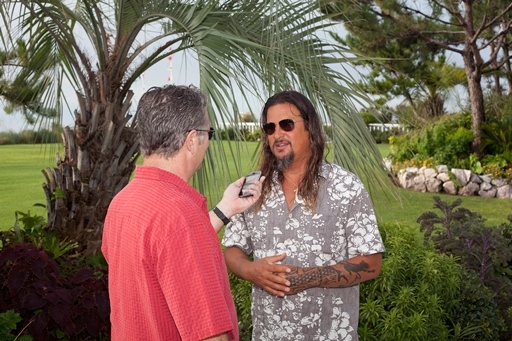 Sunday, Aug. 19, Surf Gala 2012 will be hosted by widely acclaimed Port Land Grille. Owners Anne Steketee and husband Chef Shawn Wellersdick will prepare a magnificent multi-course dinner, with an evening of live music (Kyle Lindley), video clips, and silent auction. Diners will have the opportunity to meet, greet and eat with Izzy Paskowitz, Surfers Healing founder, and his ohana (family) of legendary Hawaiian surfers. Advance copies of Izzy’s memoir “Scratching the Horizon” will be signed and provided to each guest. All income from this special evening will be used to pay for the cost of the Surfers Healing surf camp for children with autism at Wrightsville. On Monday, Aug. 20, 200 families from across the United States are visiting Wrightsville Beach to witness the miracle of Surfers Healing, an international surf camp for kids with autism. This event takes place at the popular Stone Street Public Beach Access located in the heart of downtown Wrightsville from 9 a.m. to 3:30 p.m. Spectators are welcome to “cheer” the children. Surfers healing was founded in California by professional surfer Israel “Izzy” Paskowitz for his son, Isaiah, who was diagnosed with autism at age 3. Because Izzy discovered the positive impact that surfing had on his son, he shared this unique therapy with other children diagnosed with autism. Surfers Healing Camps are now hosted in Hawaii, California, Mexico, Puerto Rico and a few surf towns like Wrightsville Beach. These camps enrich the lives of people living with autism by exposing them to the unique experience of surfing. Members of the international surfing community travel with the event and work one-on-one to coach children with autism to ride the waves. Volunteers are welcome at the Stone Street Public Beach Access.